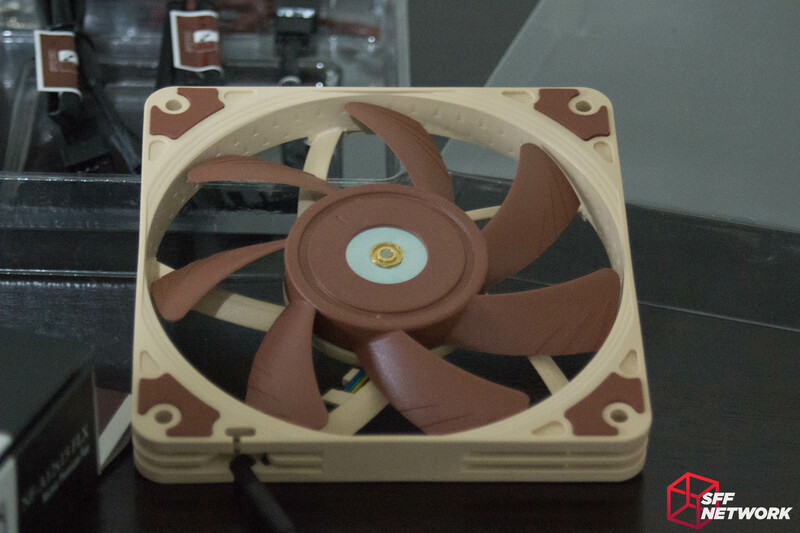 Noctua’s Slim 120mm Fan. At Last! 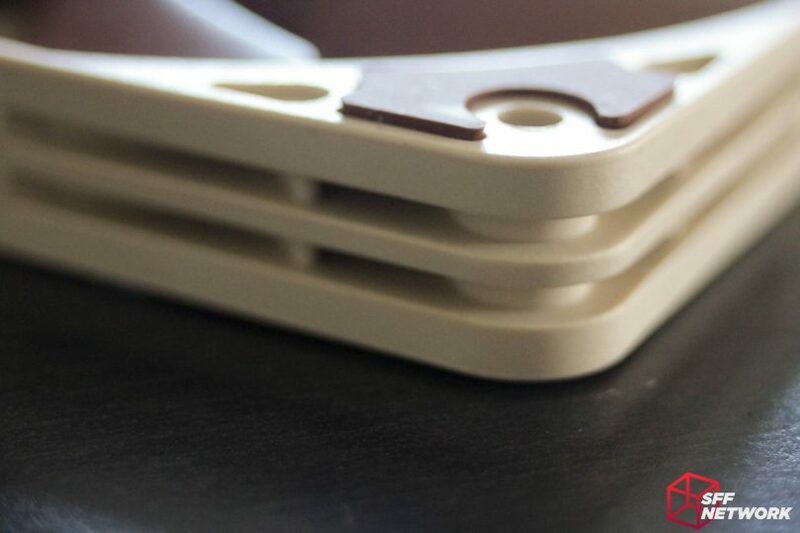 This is the one we’ve been waiting for for some time – a slim 120mm fan from Noctua. 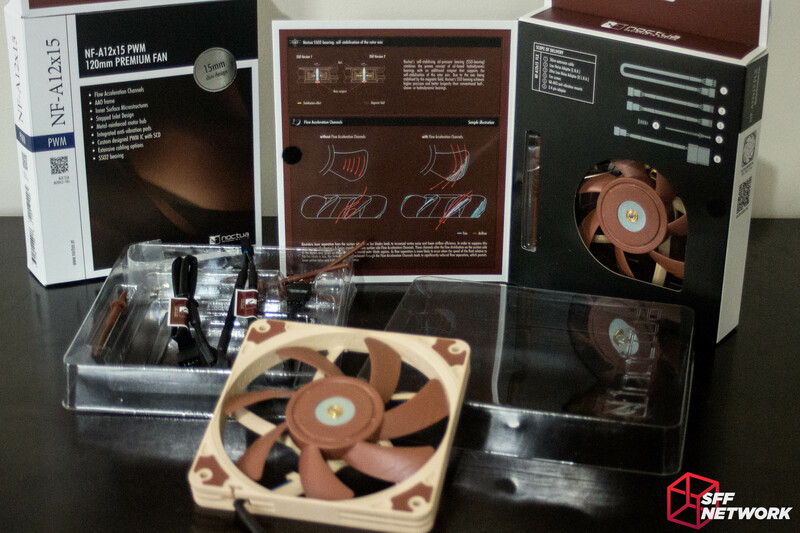 Noctua first previewed this fan at Computex a few years back – 2015 in fact. With the scarcity of quality slim fans being very well pronounced, it was time for another player to enter the market. Enter Noctua. The existing products in this market space have always been flawed in some way – usually either in acoustics or reliability. The well known example here is the Scythe Slim Silence products’ propensity to burn up the motor over time – usually evidenced by the sticker on the hub melting off. I’ve personally had two of these fans die in this way. Not pretty! Such huge packaging for such slim fans – matching the rest of the range. In all honesty though, at least the box size kind of makes sense here, unlike the 40mm fans I will be looking at in the next review. 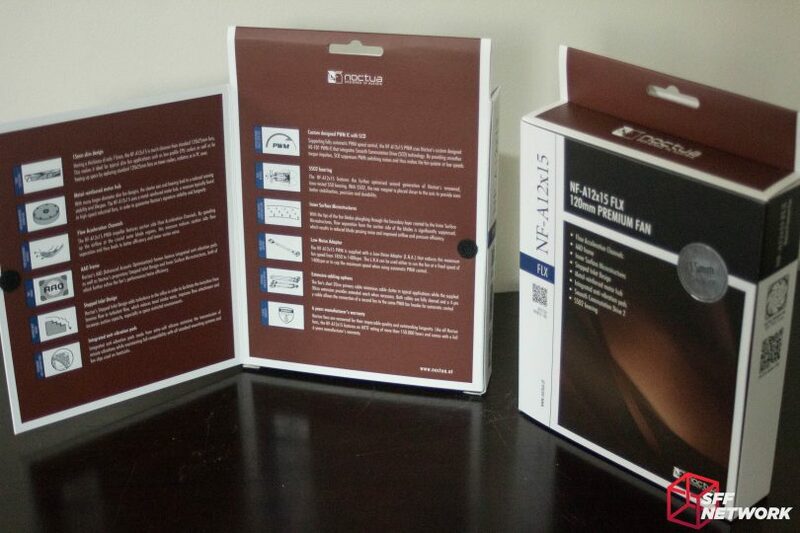 Thankfully Noctua sticks with recyclable, easy open cardboard, not some vacuum packed or heat sealed clamshell that requires a small nuclear weapon to open. Inside, the first differences become apparent – but only in the loadout of the very complete accessory kits. I really need better lighting so I can take better photos. Back on topic though, the packaging protects the fans well, and the first 120mm slim fan from Noctua has broken free of it’s packaging prison. And up close, we behold the (subjective) beauty. Some may note the larger size of the motor hub compare to the contemporary full thickness A serie fans – we will come back to this below. I really wish Noctua would sleeve the cable all the way to the motor though. Blue and beige? Hmmm. And from the front, we see a few more departures from the other A series fans. 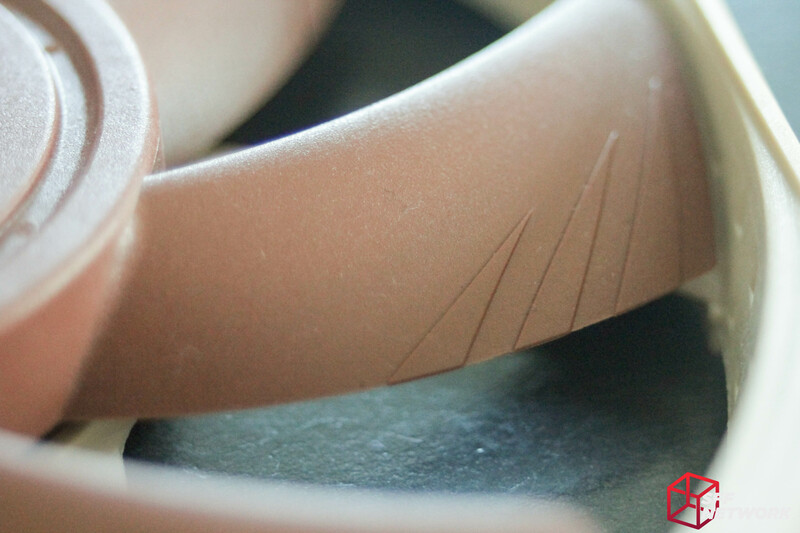 Like the smaller 40mm models, the anti vibration dampeners are moulded into the frame – something I prefer. However, this does preclude the use of the Chromax corners on this particular SKU. Also standing out, like a shiny beacon, is the exposed metal shell of the large fan motor. The metal shell is a new addition to the slim fan, with the thicker brethren eschewing this feature. 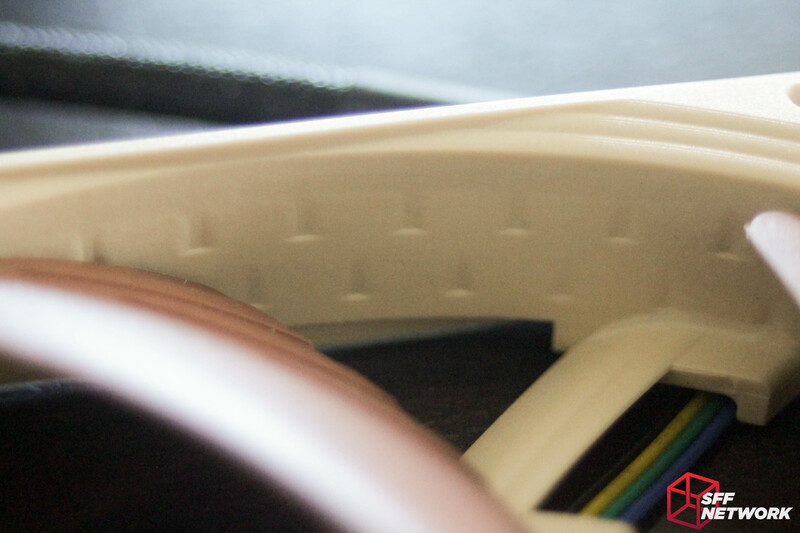 In such a small space, the addition of metal was needed to ensure rigidity of the fan assembly, aiding in better acoustics and reliability compared to the all-plastic competition. A longer spindle also helps here, and it is visible, surrounded by a brass fixing, in the centre of the metal hub. Not much to see here, but this design feature is so Art Deco, I love it. 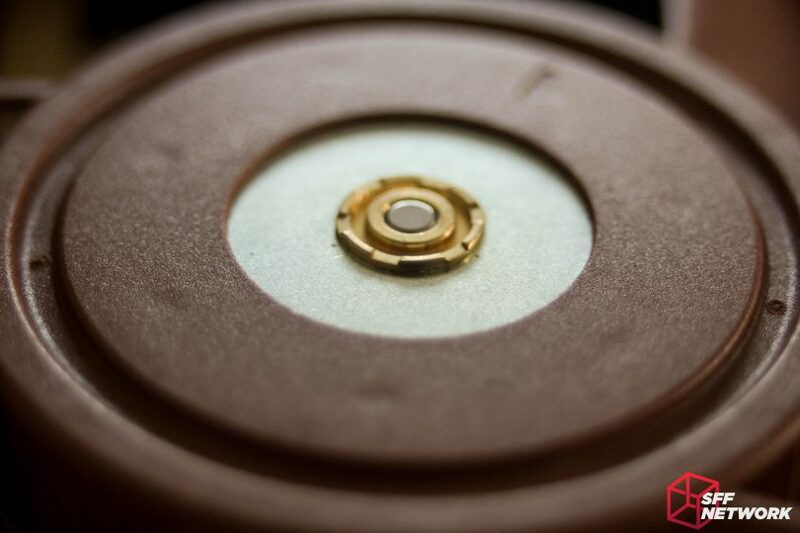 The motor on the NF-A12x15 is larger in diameter than the other 120mm fans in Noctua’s repertoire. Big motor means less airflow and a massive deadspot on a cooler right? After discussion with Jakob, our Noctua rep, it has become clear as to why this isn’t a big deal. The inner sections of a fan move much more slowly than the outer areas, and thus contribute significantly less to the overall airflow and static pressure of the fan. 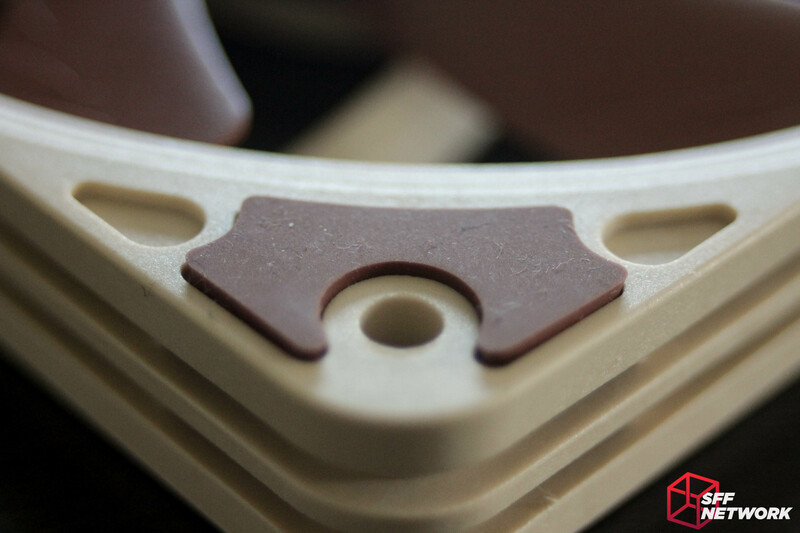 Noctua felt the rigidity and reliability gained by using a larger motor assembly was justified, and we agree. This fan does have a 6 year warranty! 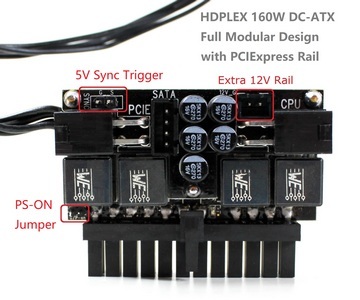 Also to note about the motor – using Noctuas’ NA-FC1 fan controller, I was able to get the PWM variant of the NF-A12x15 to spin stably at 115 RPM. Yup, 115 RPM. 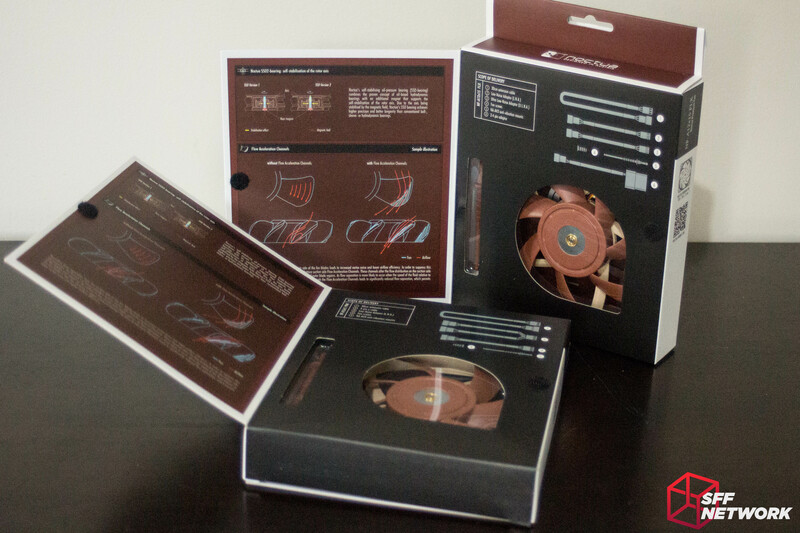 Noctua’s microstructures are included in this fan, of course. As are the blade geometries. 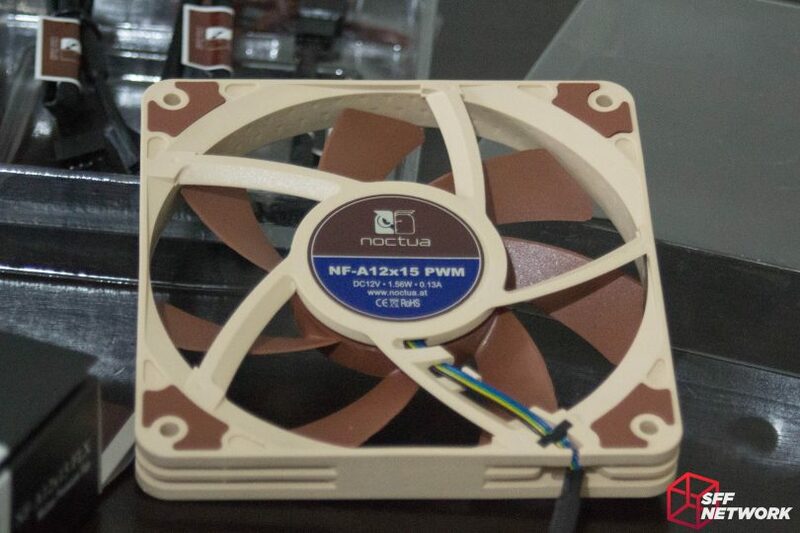 To get a true feel for this fan, I replaced the Noctua NF-A12 I have been running on my workstation’s Prolimatech Samuel 17 with this fan. A very much ad-hoc test ensued, with me simply noting observations and indicative cooling performance. Without tens of thousands in testing equipment, it is difficult to get a truly scientific result from testing procedures. Acoustically, I found this fan to be comparable to the regular thickness fans, with no notable aural differences. Of course, at higher RPM, differences appeared, with the x15 fan having a higher pitched sound versus the 25mm model it replaced on my CPU cooler. Speaking of high RPMs, the motherboard did run the NF-A12x15 at noticeably higher speeds compared to the other fan, but this is mostly due to the reduced airflow over the replaced unit. Overall though, the experience was still very pleasant – while I complain about aural changes above, the NF-A12x15 is still a league above the competitor products (that I have tested) on the market. Overall, this was worth waiting for. Noctua has done what they do best, producing a market leader in a segment they target. The price is higher than the competition, but you do get what you pay for. You just have to be able to cope with the chosen colour scheme! Discuss this in the forum!